When I started my mobile library, I never thought it would get so big so fast. With a blog, this amount of growth would be welcome. But when you have a product that takes up actual space, that kind of growth must be controlled. 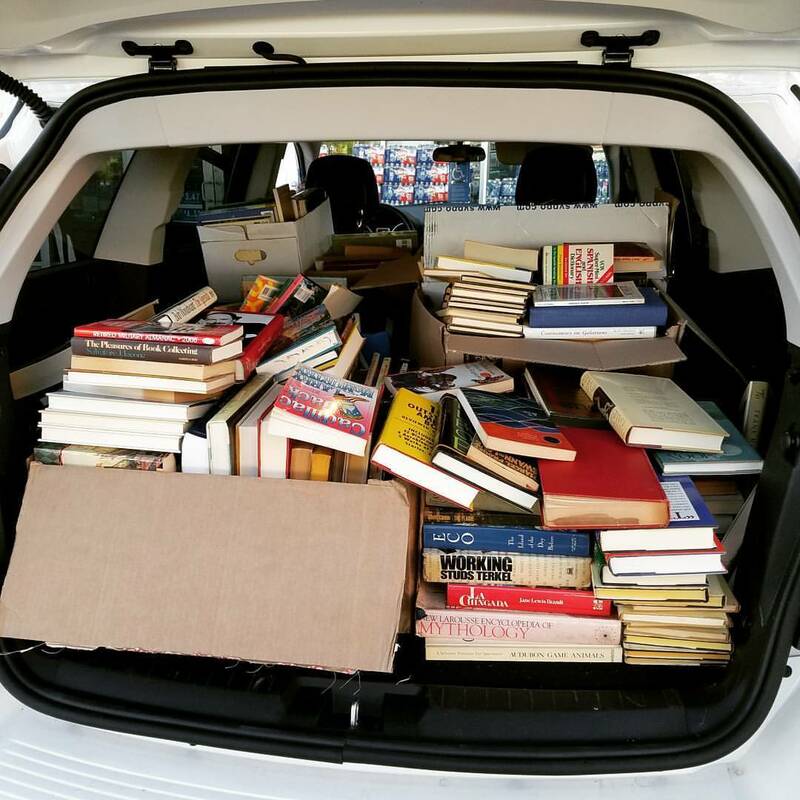 The first time I got books for my mobile library I bought 50 books for $5. 38 books went to my library and the other 12 books went to my personal collection. Just recently I had a sweet little girl named Anika that came to our booth this past weekend. She was so excited to get new books. In fact, she was so excited that she went home and cleared out her bookshelf of her old books and donated 50 books to us. For a while, we didn’t get any donations. I had to spend my own money to purchase books from the bookstore, yard sales, and book sales around town. Now, I have too many donations. Well, let’s just say I’m starting to run out of room for current book inventory. I would like to donate them anywhere I can (I’m open to suggestions). It’s hard to fathom what 500 books even looks like, and luckily I took a picture (see photo above). 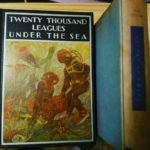 Since January 2017, I had collected 1200 books and given away 500. You would think it would easy as pie to give away free books, but I’ve run into some obstacles and naysayers. I am so grateful to receive these books for free. I want to continue to pay it forward. About 85% of the books I received are for adults and are very old books. They can sometimes be harder to give away because while there aren’t many adults who like to read there are even fewer people that have time to read. I totally understand, I never had time to read for pleasure until after I graduated college. To give you an idea of how big my library has gotten, I started on March 11, 2017, with only 150 books. Today, only 2 months later, I have close to 2,000 books. I’m doing this all by myself. I only have two people who help sometimes, but I do 80% of the work myself. It’s not easy doing all this work, but I started this on my own and I’ve never been one to expect help from anyone. I am always grateful for those who do help, and I will always accept help to whoever offers.